We are all familiar with Facebook’s Subscribe button. 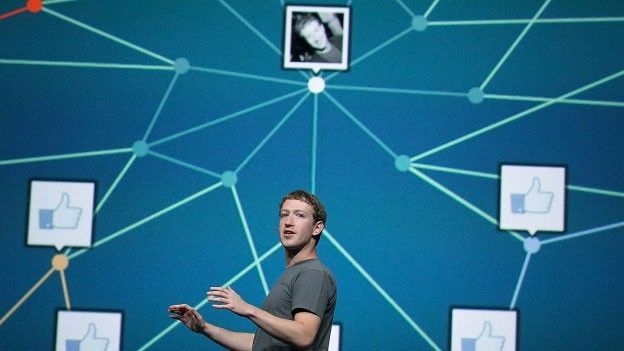 The feature, introduced for the first time by Facebook in September 2011, makes it possible for Facebook users to get feeds of other people’s public posts even if they aren’t friends on Facebook. With the Subscribe button, users can control what they wish to share in public and what to keep within the people they are close to. Since the introduction of the button, thousands of journalists and many other public figures have been using this feature to keep their subscribers up to date with their latest feeds. However, things were different before the Subscribe button. Popular personalities, who maintained their profiles themselves, would have liked their fans to keep up with them. One way would be to let other users be friends with him/her. But doing so would make them more exposed to the general public than it was supposed to be. They could certainly not post personal matters on their profile. Also, there is a certain restriction limiting the total number of friends a particular user can have on Facebook. Celebrities would certainly hate to have limited number of fans. One solution to this was a Facebook Page. Celebrities and other well known figures could create their own personalized pages and promote them by letting the users ‘Like’ their public pages, allowing posts on such pages to be automatically shared among people who have liked them. But there was a catch here too. Maintaining separate personal and public profiles (or rather, pages) turned out to be tedious and time-consuming. A person would need to make two separate posts for every public announcement he/she wished to make. And that’s probably why the Subscribe button was introduced. Long back, I had ‘Like’d Mark Zuckerberg’s official Facebook page, where he used to post his public announcements. 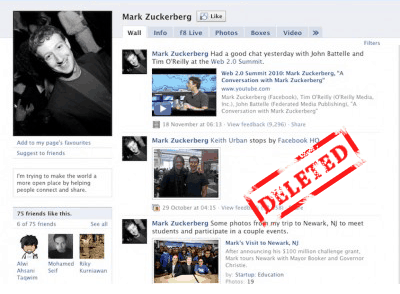 Few days back, I was wondering about Zuckerberg’s official page as there is no need of that page after 14/9/2011. And quite surprisingly I found that the page “fb.com/MarkZuckerberg” redirects to his Facebook profile “fb.com/zuck“. That could only mean Mark Zuckerberg had removed his self-maintained Facebook Page and redirected all its links to his Facebook profile. Hence also explaining the rumour about the many users who found themselves automatically subscribed to Mark soon after the launch of the Subscribe button. As it turns out, all the people who had previously ‘Like’d Zuckerberg’s official page on Facebook found themselves automatically subscribed to him, because the page they had ‘Like’d no longer existed and Mark would make his public announcements through a single public post from his profile. Please note that everything I have mentioned above is purely based on my own analysis. But this is the most probable explanation I could reason out for the deletion of Mark Zuckerberg’s official Facebook Page.